Virgin Islands Lottery - Buy 2 Lottery Tickets - Win a Free J'Ouvert Package! Get a change to win up to $375,000.00! Limited time offer! Buy 2 $30.00 VI Lottery Tickets! 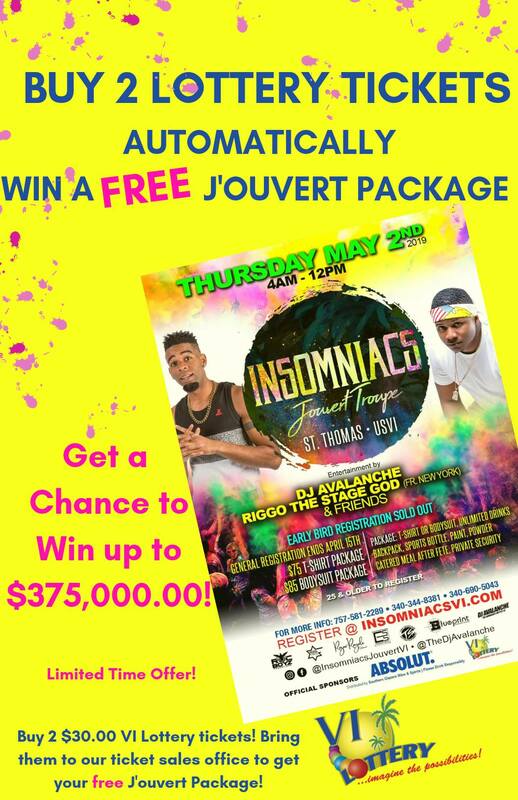 Bring them to our ticket sales office to get your free J'ouvert Package!